Our Ashland probate lawyers understand that the probate process can be very confusing, especially if you have no court experience. 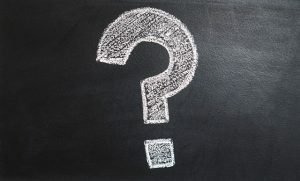 But, before you begin to create your estate plan, it would be very helpful to have at least a basic knowledge of how the probate process works. That way you will better understand the effect your various estate planning tools will have on how your estate is distributed after your death. Legal protections do not simply disappear after your death. For example, if you lend someone $100,000 with the agreement that he or she would be required to pay you back at a certain rate of interest over a prescribed period of time. If he were to pass away before he paid you, you would certainly want to be paid out of the assets that comprise his estate, right? 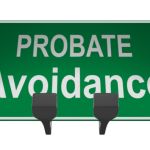 This is part of what the probate process is all about. If a will is used as an asset transfer vehicle, it is admitted to the probate court. The executor or personal representative handles the estate administration tasks under the supervision of the probate court. Under state laws, the executor would be required to notify creditors. The creditors would be given a certain period of time to come forward, seeking payment from the assets in the estate. Final taxes would also be paid during the probate process. Our Ashland probate lawyers can give you advice on these concepts. To provide another example, let’s say that you know your father included you in his will at one point in time. After he passes away, the domestic partner who moved in months before he died presented a different will to the probate court. You are disinherited in this will, and you are certain that the will was fraudulent. As part of the probate process, you would be able to come forward to contest the will, and you could present an argument before the court. If you need assistance with probate litigation, however, it is best to speak to our Ashland probate lawyers. 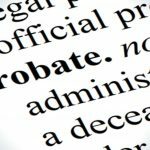 If you are going to use a last will to state your wishes regarding the way that you want your assets to be distributed after you pass away, you should certainly take the probate process into account. 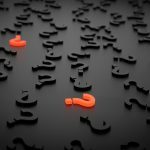 If you do choose this route of estate planning, your estate planning attorney can also help your executor during the estate administration process. This can be of great assistance, especially if the executor does not have any particular experience navigating the probate process. 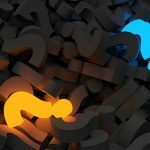 A will may be the best choice for you, but there are other options. Even if you are not extraordinarily wealthy, a living trust can provide a host of different benefits. Many of our clients are concerned about their loved ones spending their inheritances too quickly or about protecting their legacy in case a child gets divorced. You can address this type of thing through the creation of a revocable living trust. With a living trust, the trustee that you name in the trust declaration could be empowered to manage the assets in the trust after your passing. You would not have to worry about a beneficiary or beneficiaries making bad decisions. If you want to, you could instruct the trustee to distribute limited assets over an extended period of time so that your loved ones have resources available to them over the long haul. Join us for a free seminar today! If you have questions regarding the probate process or any other estate planning matters, please contact the experienced attorneys at The Potter Law Firm for a consultation. You can contact us either online or by calling us at (704) 944-3245 or for individuals in Kentucky at (606) 324-5516 (Ashland, KY) or at (859) 372-6655 (Florence, KY).